Since I have a two year old and a three year old, I am used to having kids home 24/7. Jane being home has not been bad, but I have to be intentional about my boundaries. I still keep a strict naptime/quiet time during the day so I can have some time to myself. Jane, a non-napper, simply keeps herself busy with puzzles, coloring or playing. She has been great about it, but it has taken a lot of consistency to get her to understand why this time is important to me and good of the whole family. It is completely okay for your kids to entertain themselves for a period of time. Block out time that allows you to still be a human during the summer instead of a slave to your kids’ fun. I still work on things that I worked on during the school year, and giving myself that time helps my kids to keep a routine. I actually probably get more done during the summer because I am not working outside of the home at all during summer. One of my favorite summers with my mom was when she let us pick out some longer chapter books, and we sat on my bed everyday with my siblings and listened to my mom read. 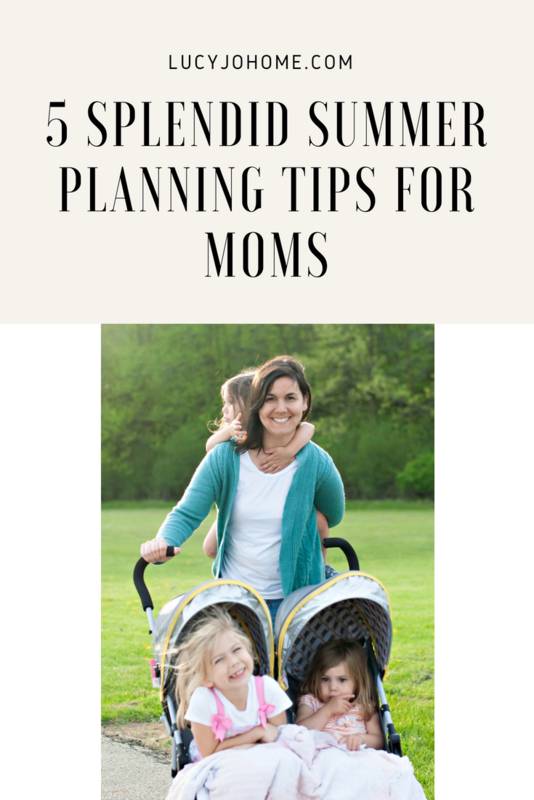 We were a part of planning summer, and I felt like my mom was invested in us. This was super simple for my mom, but nearly 20 years later, I remember that summer. I sat down with my kids at the beginning of summer and asked them what they would enjoy learning and doing. We came up with a pretty cool list. I will share our list with you in #4. Ask them what they want to read, learn or do during the summer. Spending a little bit of time hearing what they prefer will make summer more fun and help you make plans. Also, include your husband in the summer plans. This year, Cody and I have been able to coordinate our calendars a lot better than we have in the past. We have some really fun small trips planned, and he has the time off of work to make it happen. Grab your calendar and sit down with your hubby. Here is a blog post with some summer activities listed if you need to get your mind going. I have learned that opposites create appreciation. When my girls have to work first, the play is more rewarding. My girls are still required to do chores and keep the house tidy. I am even more serious about clean and organized spaces in the summer because if home base is chaotic, I (and I think they) can’t have fun. The best part about having your children still work, is that you can truly reward them with fun outdoor activities and time with you. The rewards are worth the effort and your kids will never question the routine of work then play if you don’t ever do anything different. When it is time to play, play hard. Don’t forget a camera, and don’t forget to journal about the good times! I want to keep a better record this summer because I am realizing that my children are not going to be little forever, like I thought. Like I said in the plan together section, I asked my girls what they wanted to learn this summer and here is that list that they came up with. We are finishing up our flower week and it has been fun. We planted flowers on Monday, went on a drive to spot flowers Wednesday, and yesterday we went to the library to check out books about flowers. 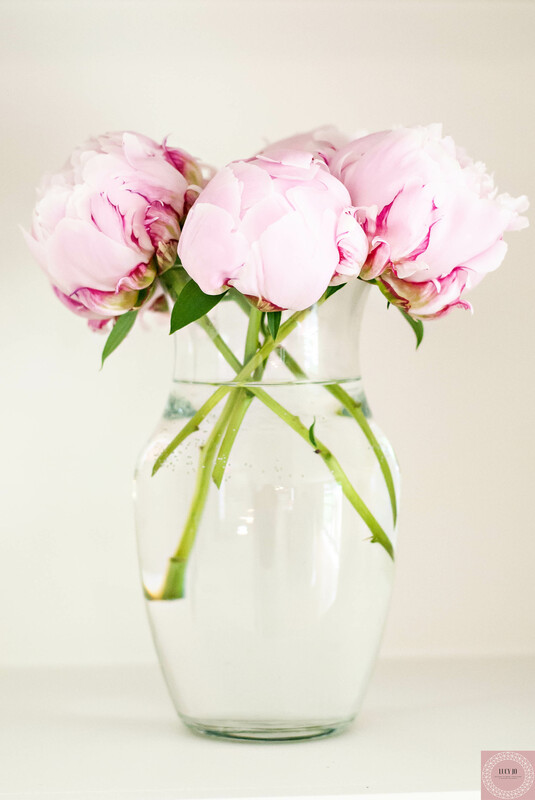 Tomorrow will be the last day; I want to have the girls cut some of our peonies and deliver them to someone. One of my favorite things about flowers is their ability to cheer people up. Here is a picture I took of the peonies from our garden. This week has been insanely easy to plan, and it does not consume or interfere any of our other more spontaneous plans. We also went to a wetland preserve and a beach, so not everything we do is themed, but we have some structure and purpose to the week. Jane, of course, is the one that pays the most attention to our theme, but I hope the other younger girls will start to catch more of the vision as the summer progresses. Even if you don’t come up with weekly learning themes, plan to teach your children and let them take the lead on showing you what they want to learn more about. Go on a hike and let them lead the way. I find that my kids are far more observant than I am sometimes. This woman’s blog is fantastic for educational ideas for kids by age. Be social this summer because the only thing that beats getting out to soak in sunshine and explore, is doing it with friends. We have lived in a place that has heavy snowfall for about eight years now and I am always amazed at how people who don’t always get to be outside appreciate and use up the sunshine and warmth. I will not be wasting these summer months and neither are my friends. I have planned to get together with a friend at least once a week and occasionally even trade babysitting so that each of us can have some free time. I hope these tips will help you have a wonderful summer!